It is almost the start of a new month, which means it is time for me to write new lesson plans. To me, February means Valentine’s Day. I like to celebrate the holiday of love all moth long. 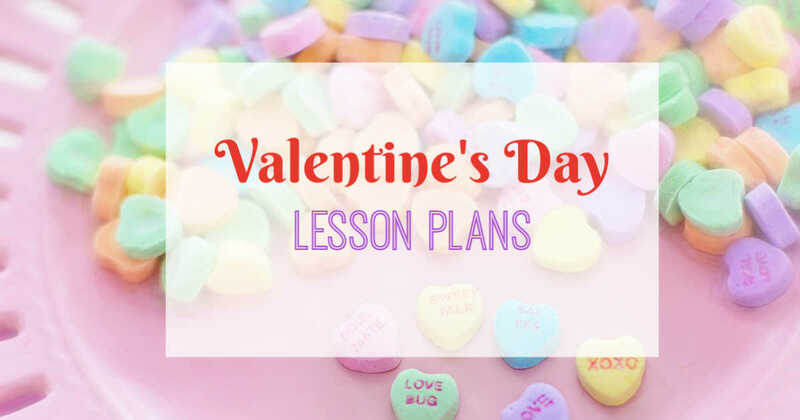 My February lesson plans will include all of our normal subjects with the addition of special Valentine’s Day lesson plans. February is a great time of year to include new holiday unit studies and lesson plans. This is the point in the year where moms and kids start getting bored. Bored with the usual routine and bored with the normal curriculum. 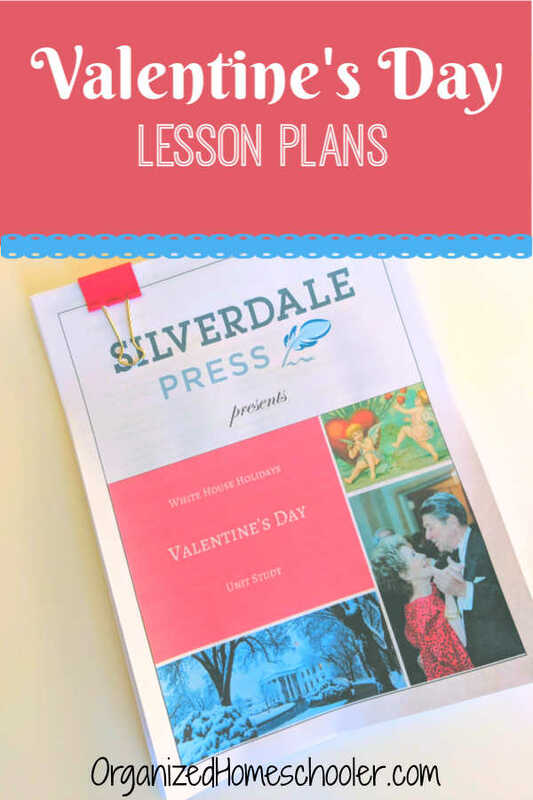 Sprinkling in a few fun festive Valentine’s Day lesson plans is a great way to shake up the routine. There is still learning going on so moms are happy, but the lessons are different and fun so kids are happy. It’s a win-win. These are all great additions to any Valentine’s Day lesson plans. Don’t feel like you need to cram everything in on February 14th! Spread the love all through February. Valentine’s Tea with Poetry – Combining seasonal poems with delicious treats and hot tea is a cozy way to spend an afternoon. We try to hold a poetry tea time at least once every month, but it is extra cozy in the winter. Writer’s Workshop – Writer’s workshop involves taking the kids out to a local cafe or bakery for some fun writing exercises. We play a few writing games and take turns writing a collaborative story. This month’s writer’s workshop will have a Valentine’s Day theme. Valentine Letters Mad Libs – Mad Libs are a classic fun way to practice parts of speech. Kids have so much fun they don’t realize they are reviewing grammar. I like to include Mad Libs booklets in our boredom busting baskets. Valentine’s Writing Activities – Check out this WriteShop post full of fun and simple Valentine’s Day writing activities. Rhyming with Candy Hearts – Print out this free game and practice rhyming with words printed on pretend candy hearts. 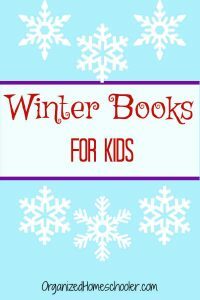 14 Valentine’s Day Books for Kids – Read a story a day leading up to Valentine’s Day. Valentine’s Day Math Activities with Chocolate – Turn Hershey Kisses into a delicious math manipulative with these Valentine’s Day math activities. Making Predictions with Conversation Hearts – Students will collect data using their own bag of candy conversation hearts. They will then use this data to make predictions about other bags of conversation hearts. My kids seem to learn through their stomachs, so I’m sure this math activity will be a hit. Valentine’s Day Math Brain Teasers – These tricky math brain teasers use Valentine’s Day icons in math problems. Students will need to use math critical thinking skills as well as various math operations to determine the value of the icons. Approximate Rational and Irrational Numbers – My daughter has been working on rational numbers in Math Mammoth pre-algebra, so the timing of this activity is perfect. Students need to determine the value of numbers and plot them on the number line. Valentine’s Day Escape Room – Escape rooms are very popular right now, so I’m sure my kids will have a great time brushing up on math facts with this Valentine’s Day escape room. Students need to solve codes for a Valentine’s monster so they can ‘escape’ and finish decorating for a dance. 3D Model of a Heart – This is not the traditional type of Valentine’s lesson. Instead, it is a way to tie the heart icon of Valentine’s Day into a hands-on anatomy or biology project. Use play dough or clay to build a 3D replica of a human heart. Candy Chemistry Kit – Candy seems to play a BIG role in observing Valentine’s Day. Use this candy chemistry kit to observe the chemical changes as you make rock candy, gummy bears, chocolates, and even mints. This Valentine’s Day unit study also includes related crafts, poetry, personal letters, video links, and discussion questions. One of the great things about Silverdale Press unit studies is that there is something for every grade level. I use them year after year because I can switch to different readings and discussion questions as the kids get older.